Ground Crew Debrief & Logistics Survey | Redux & Co.
Debrief from the latest developments with the ground crew in the hangar and beyond. Airframe: Our agents in the field report our manufacturer has production prototypes in motion. This means that the makers begun to build the molds, and tooling that will shape the titanium grade 2 and grade 5 for our COURG cases, bezels, backs, and crown. 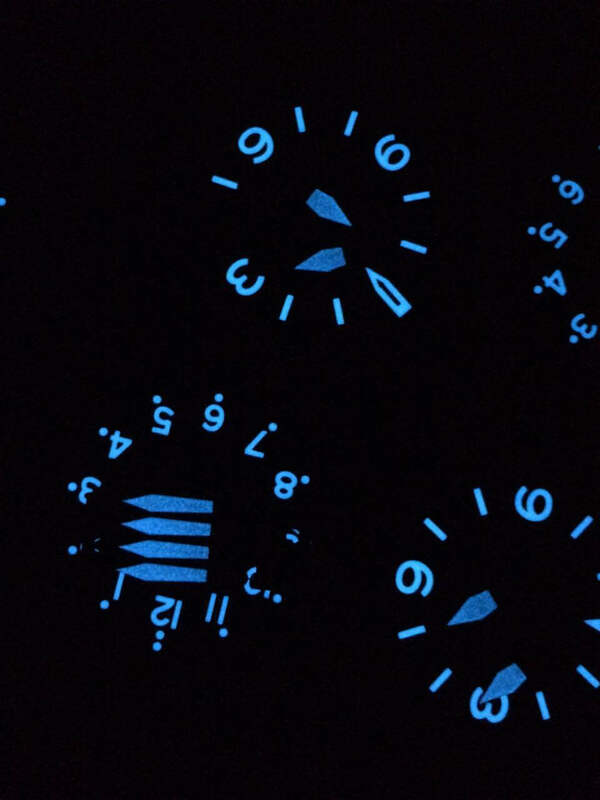 Instrument Dials: In tandem, we’re having the final variant dials and hands production prototypes made. As you know, we created custom designs, and since these are not Alibaba off the shelf parts, new dies and molds make this happen. These are all within our timeline and everything is on track. I expect those prototypes to be in hand within 25 days +/-5days. I’ll be flying a sortie out personally as production gets underway to ensure quality from “go”. Engine: As I mentioned in the previous update, our plan is to move ahead in the next few days even before Kickstarter funds clear with a big deposit to lock down some 3,000 Seiko NH35 movements that will include the special order white-on-black date wheels. Samples of bead blasted titanium grade 2 and grade 5 in motion and I hope to get some photos in hand soon, and also receive samples shortly thereafter to handle myself so I can describe it for you all. Remember when I described how difficult it was to find titanium hardware for the straps? We’re now in talks with a manufacturer that could potentially make this happen for us. It was always my wish that we could source titanium hardware for the ballistic nylon straps, but our quantities when I originally requested quotes were for 300 watches. Enter the power of scale. If this happens, we’ll only go with one grade of titanium for the strap hardware and I will do my best to make this an upgrade across the entire #COURGcrew, but this may become a +$5 add-on. Sub-Mission Particulars: There are two ways to manufacture titanium hardware for these. The cheaper, easier way is to take round titanium bars and bend it, leaving the bars open on the side that gets covered in material. For all intents and purposes, this is sufficiently strong, and there’s almost zero chance they’ll fail on your strap before the nylon gives way. The cutting-no-corners method is to cast molds and make complete un-split rings. I’m personally pushing for full rings and will keep you all in the loop as we move forward on that front. I’m planning to make this happen within our budget so everyone automatically gets upgraded to Ti strap hardware. As you know, in the course of our Kickstarter launch maneuvers, we upgraded everyone to 20ATM from 15ATM. I’ve got further good news: We’re going to push from 2.0mm thick sapphire to 2.6mm. This will fortify COURG no matter how deep, how high, or how tough your adventure goes. One of my goals is to go for MIL-SPEC and I think this is a step in the right direction. On the less fun, yet no less mission critical front, I’ve had multiple consults with the team over at BackerKit to ensure that we have all the cogs in place for a smooth FINAL BACKER ORDER SURVEY machine. You have all proved how responsive you are when we ask for your insight, so thank you! Many backers have requested expedited shipping — particularly international. Obviously, you all saw that I didn’t gouge you on shipping as is the habit of some. And so I respect that many of you said you would pick up the tab for premium couriers such as FedEx, DHL, etc. In order to help us plan for this, please add your location to this quick #COURGcrew-only 4 question destination survey. Not only will this help me coordinate and plan with our shipping/fulfillment partners, it’ll also eventually give us all a pilot’s eye view of where the #COURGcrew members are stationed!